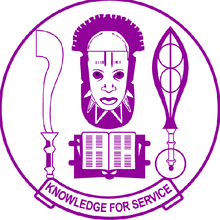 University of Benin (UNIBEN) Diploma and Certificates Programmes Admission Form, Admission Requirements, Method Of Application, Deadline for 2018/2019 Academic Session. Applications are invited from suitably qualified candidates for admission into the following full-time and part-time Diploma Programmes of the University of Benin (UNIBEN) for the 2018/2019 Session. Diploma in Health Administration and Management (DHAM). To qualify for the various full-time and part-time diploma/certificate programmes, candidates must satisfy the stated general and specific requirements for admission. All applications should be done between 31st July, 2018 and 30th September, 2018 midnight. Click on My Uniben Portal at the top of the display page to proceed. On the https://myuniben.org click on ‘Online Application’ (top of front page). Click on Apply and read the instructions carefully before clicking on Continue. To start the application process, Click on ‘Start a New Application’, provide all required information and click on PAY WITH CARD. It will direct you to click on a link: Click here to open a window that will take you to Interswitch WebPAY site to make the payment. Do not close the window where you were directed to click on the above link. After a successful payment, go to the window and click on After a successful payment click here to proceed to Application. Please follow the instructions to pay the application fee of N10,050.00 (The fee excludes other charges), excluding Interswitch and Portal Services charges with an ATM-Enabled Verve or Master Card from any Commercial Bank. However you must copy your application number and reference number because you will require it to resume your application. Upload a RECENT and CLEAR “1×1” COLOUR PASSPORT PHOTOGRAPH WITH RED BACKGROUND IN JPEG FORMAT ONLY. NOTE that the photograph uploaded will be the only valid ID for all admitted candidates throughout their stay in the University of Benin. FAILURE TO UPLOAD THE SPECIFIED PASSPORT PHOTOGRAPH WILL LEAD TO DISQUALIFICATION and failure/forfeitures of admission. Application website closes by 30th September, 2018 (i.e. all applications must be concluded online not later than 30th September, 2018). NOTE: Any application form not properly filled by the closing date will not be treated.